Kristi's work can be found both in children's books and local galleries. 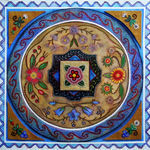 Her acrylics, mandalas and children's illustration have a trademark antique sepia look. Works can be found at local arts events and the Art Gallery of Greater Victoria. 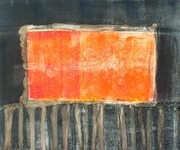 An abstract artist, Lorraine Thorarinson Betts works in mixed media, painting and monotype on paper and canvas. 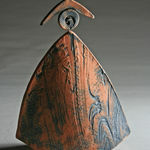 Exploring texture in ceramics for many years, Marlene welcomes your interest in her work.